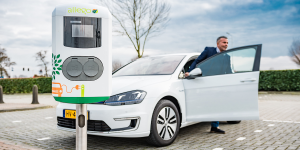 Allego and Ecotap received the concession to install and operate 4,500 electric car charging points across the Dutch provinces Gelderland and Overijssel. 43 cities participate and the rollout will increase the number of charging sockets fourfold. Charging infrastructure provider Allego found a new partner in LeasePlan. 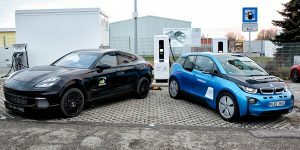 Their electric car drivers will get access to the Allego network and also receive support in installing new stations at home and the workplace. The deal reaches across eight markets in Europe. French investment firm Meridiam that specialises in infrastructure has bought Dutch Allego from Alliander. The latter had been wanting to sell its EV charging arm for some time. 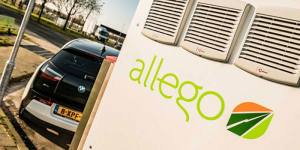 The acquisition is to propel Allego further across Europe’s growing charging landscape. The Mega-E project for EV charging infrastructure will receive 29M euros in funding through the EU. 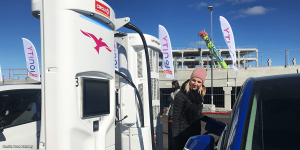 Initially set up together with Fortnum, Allego is now alone in leading the project that wants to install 322 ultra-fast charging stations and 27 e-charging hubs in Europe. Allego, Fortum, Cityscoot, London, California. 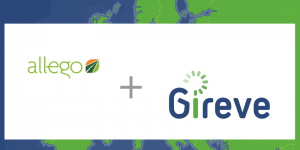 Allego and Fortum Charge & Drive: Both companies signed a Letter of Intent to link their charging networks and to win further partners in order to create a pan-European infrastructure net, consisting of “Multi Charging Hubs” in metropolitan areas and at highways as well as home charging stations. Electric scooter sharing soon in Nice: After having launched its sharing service in Paris, Cityscoot intends to expand to Nice in January 2018. The company will debut with 50 electric-powered scooters, but plans to multiply this amount to 400 EVs soon after. Autonomy and the Urban Mobility Summit is back in Paris from 19 to 21 October 2017: Autonomy is the annual international urban mobility event where policy makers, innovators, cities and urbanites meet to change the way we move in cities. 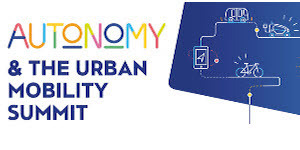 Autonomy consists of a talks & conference program (The Urban Mobility Summit), an exhibition area, test tracks and a startup program (Funding the movement). Charging stations for London’s south: Wandsworth, a district of south London, sees 35 new EV charging points at 11 sites. According to the Wandsworth Council, additional 50 charging points shall follow by the end of the year. 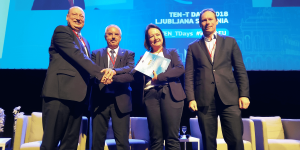 Commission supports EV sharing in CA: In order to implement an EV sharing service, Envoy Technologies can count on 1,5m dollars, approved by the Californian Energy Commission. The sharing programme is particularly addressing disadvantaged communities in the greater Sacramento Metropolitan and the California Bay Area. Allego, Shell, Solaris, New Zealand, Supercharger. 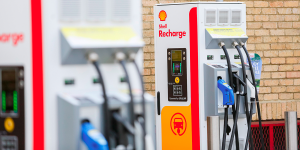 Shell to offer fast-charging: Allego has agreed to supply Shell gas stations with fast-chargers, first in the UK and the Netherlands, where they shall go into operation before the year’s end. London and Derby are on the list of locations with a few more in the west of the Netherlands (Randstad). How many 50 kW stations they want to install, none of the partners specified. Autobus per favore: Italy has ordered a total of 22 electric buses built by Polish Solaris. Twelve Urbino 12 electric are expected in Bergamo with another ten going to Milan. While both cities opted for the same models, they differed in the interior as well as charging options. At the other end of the world New Zealand’s capital ordered 32 electric double-decker. The first ten are scheduled for service from July 2018, while the other 22 are only due by 2020 and 2021. The Council of Wellington has signed with Tranzit and Uzabus for nine routes after the city called for tenders in August last year. Overall, the bus fleet is almost 500 strong. Tesla’s Supercharger supersizing continues as the firm announced another two 40-strong charging sites after building the first in California as reported. One will come to Tesla-loving Oslo in Norway and the other to Baker, a place conveniently situated between Los Angeles and Las Vegas. Not as big but expansive all the same is the latest site at Abu Dhabi’s Yas Island’s mall and theme park that now call sixteen Tesla charging stations their own. Allego, Argentina, Shell, Montgomery County, Tesla. 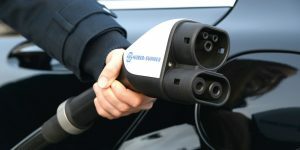 2,500 charge points for Flanders: The Belgium province plans a whole network of EV charging stations within the next four years. 2,500 shall be erected and Allego now received an order over 1,044 of those charge points. The Dutch provider has inaugurated the first already and hopes to get another 644 ready still this year. 220 charge points but fast-charging ones meanwhile go to Argentina, where state-owned Oil company YPF reportedly wants to reutilise its petrol stations. It chose ABB as its supplier and the company is to deliver 220 multi-standard DC chargers for 110 locations this year. QEV Argentina will install them. 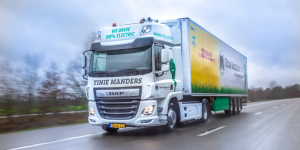 Talking oil turning electric: Shell released details on its plans to charge its pit stops in the UK and the Netherlands. Dutch EV drivers will find a chance to rejoice at 15 – 20 Shell stations across the country before the year’s end. The first ten charging stops will concentrate on the Randstad area. Green fleet: Montgomery County, Maryland has purchased 16 Chevrolet Bolts that will be used by the municipal agencies for various tasks. They are replacing 15 older vehicles including a Toyota Prius. The County now has a total of 243 electric and hybrid vehicles with 29 charging stations. East Coast supercharged: Tesla unveiled its latest Supercharger station at the Connecticut Post mall. With 14 charging stalls, it becomes the largest facility on the East Coast. Car2Go, Sicilia, Korea, PlugSurfing, Allego, Ensto Chago. 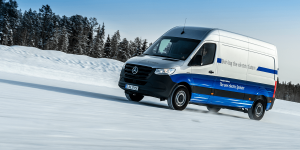 All-electric car sharing in Stuttgart: Daimler’s fleet of 500 shared electric smarts in the Swabian capital will receive reinforcements by mid-April when 50 Mercedes B series Electric Drive will join. The 5-seater electric cars will be a little more expensive with 34 cent per minute, that is 5ct more than for a Smart ED. Once the EVs are added, Stuttgart’s Car2Go fleet will be the largest fully electric flexible car sharing fleet worldwide, according to Daimler. Eco Tour di Sicilia: 200 Renault Zoe will soon roam the south of Italy during the Eco Tour di Sicilia the French carmaker launched together with car rental company Sicily by Car and utility Enel. The latter will add 400 charging stations to the offer designed to explore Sicily in a most climate-friendly manner. Korea wants to have 1,450 fast-charging stations across the country before the year’s end and has just added another 100 over the last three months. This means there are 200 standing by now but also that the pace of installation has to accelerate to reach the energy ministry’s target. PlugSurfing and Allego cooperate: The companies have launched a peer-to-peer connection using the Open Charge Point Interface (OCPI). EV drivers with Plugsurfing’s app can thus access real-time data from Allego stations in Germany, Belgium, and the Netherlands. 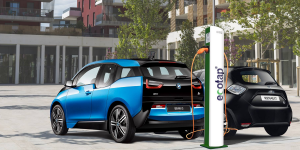 Talking charging stations: A range of smart electric vehicle chargepoints from Ensto Chago that can communicate with each other through cloud software has been approved for support by the UK Office for Low Emission Vehicles (OLEV). The aim is to distribute energy evenly between multiple charging EV. Hungary, Allego, Elix Wireless, Consumer Federation of America. Hungary takes the next step in its push for electric transport as it confirms the announced EV incentives. The government reserves 2bn forint (7.3m dollars) for the acquisition of electric cars and small utility vehicles. Next year’s budget will be increased to 3bn forint. 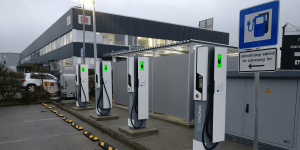 Charging Tesla at McDonald’s: Allego has installed two fast-charging stations with Tesla adapters at Schiphol Airport in Amsterdam. 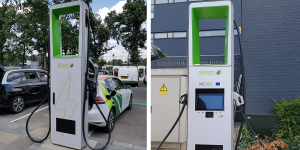 With the latest addition, Allego now operates a network of 65 DC charging stations in the Netherlands and a total of 155 in the whole of Europe. Sino-American wireless connection: Uni of British Columbia spin-off Elix Wireless is to collaborate strategically with Chinese Chongqing Zongshen Power Machinery. Together, they want to commercialise Elix’ Magneto-Dynamic Coupling technology for inductive charging with up to 8 kW by end-2017. 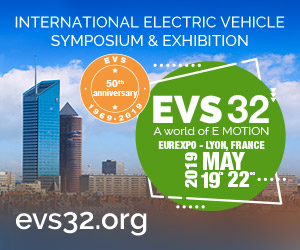 EV willingness is up: “Yes” to an electric car say 36 percent of participants in a nationwide survey by the Consumer Federation of America. 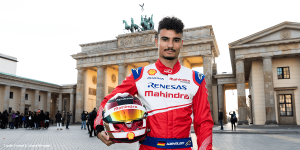 The young generation is even more willing to make the switch as half of 18 – 34 year olds would be interested in buying an EV. 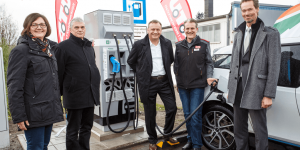 German fast-chargers, Italy, BMW i3, Fraunhofer ISE, Allego. 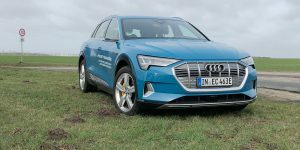 Details on German fast-chargers: The government revealed more information on the planned network of 400 rapid charging stations that will line the German Autobahn. All charge stops will be multi-standard (CCS, CHAdeMO, Level2) and have at least two reserved parking spaces. At hotspots, more charging stations will be available. Charging will be initially offered for free. Electric carsharing in Italy: Palermo has 24 Renault Zoe for hire that can be charged at one of 16 charging stations sponsored by utility Enel. The shared EVs can be found at five locations in Sicily’s capital with another three to be opened before the end of this year. Fly and drive electrically: 50 BMW i3 are available at London’s City Airport as DriveNow strikes its first deal with a British aerodrome. it is said to be the largest electric carsharing fleet in the British capital. Home integrated EV: Fraunhofer ISE created a home energy management system that integrates an electric car and its charging needs into a “Passive House” by scheduling i.e. charge times. It is part of the “Fellbach ZeroPlus” project of the “Electric Mobility Showcase” programme. 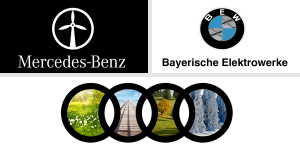 Completion: Berlin and Munich are officially linked as BMW, E.ON and Siemens completed the installation of eight DC fast-charging stations along the A9 motorway. Allego GmbH assumes commercial operation of the stations. Ten minutes of DC charging cost 3 euros, while AC charging costs 2 euros/30 minutes.